A 20-year-old man has been charged in relation to an attempt murder in Reigate on 29 January. Can you help us track down wanted man Max Huggett? ​We’re appealing for your help to find 27-year-old Max Huggett from Horley. ​We’re appealing for witnesses following a serious collision in Deepcut on Saturday evening (26 January). ​We are pleased to say that missing Horley man Steven Palmer has been found safe and well. We are appealing for witnesses following a concern for the welfare of a woman who was seen with two men and another woman outside the Travelodge on Pembroke Broadway, Camberley in the early hours of Sunday morning. A further five men have been charged in relation to an attack on a group of men in Blindley Heath last November. We were called shortly after 12pm after reports regarding an altercation involving two men in Victoria Way, Woking that resulted in one man requiring emergency medical treatment. We are appealing for witnesses after a man sadly died following a collision in Compton last night (24 January). ​Two men have appeared in court charged with conspiracy to commit burglary and conspiracy to steal motor vehicles. We have arrested three males (aged 16, 17 and 18) on suspicion of attempted murder after police were called to East Surrey Hospital at around 23.30 on 23 January, after an 18 year old man had arrived with stab wounds to his chest and leg. The three have subsequently been released on police bail. ​We’re appealing for witnesses after a 12-year-old teenage was assaulted on Frimley High Street on Sunday evening (20 January). 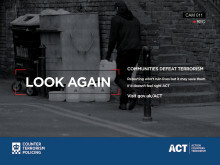 ​Surrey and Sussex Police have praised the public’s willingness to ACT in response to the unprecedented terrorist threat, after it was revealed that the number of attacks across the UK foiled since March 2017 has risen to 18. A property in East Molesey was granted a partial closure order by Guildford Magistrate’s Court yesterday (Wednesday, 23 January 2019). A man who assaulted a number of police officers in Epsom earlier this month has been given a suspended sentence after pleading guilty at court yesterday (23 January). We are appealing for witnesses in relation to a suspected arson in Egham in the early hours of this morning (24 January). ​We are currently in attendance in Walton where a blue Ford Fiesta drove onto the pavement at roughly 2.17pm today (Jan 19) in Cottimore Lane, crashed and then left the area. We are appealing for the public’s help to identify a man who we’d like to speak to about an attempted theft at a petrol station in Banstead. 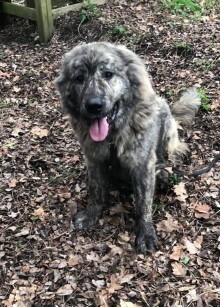 Can you help find stolen Caucasian Shepherd dog, Narma, from Worcester Park? A man has been charged following an armed robbery at a post office in Banstead in December.